Turning your home theater system dreams into reality can be challenging without the right expertise and guidance. The Basics: What's a "Home Theater System?" In simple terms, a home theater system is a speaker arrangement that goes beyond stereo sound to give you an immersive sound experience. In other words, a system that can imitate the experience you would get going to a commercial movie theater. Within that definition is a vast range of options to cover every budget and room size. Most of these systems require an audio/video receiver (AVR), but some are self-powered, requiring little more than a single optical or HDMI cable connected to your TV. Either way, the outcome is the same - whether you opt for a home theater soundbar or a no-holds-barred 13-speaker system, whatever you choose will enhance everything you watch, from TV shows to sports to streaming movies. You’ll need a 5.1 speaker set-up at the minimum to build a traditional surround sound home theater system. This includes two front speakers, two rear speakers, a center channel speaker, and a subwoofer. The main speakers are critical and should be the very best you can afford to install. Nothing will sound as good as a set of full-size, floorstanding speakers, but a top-quality set of bookshelf speakers can work if you simply don’t have the room for anything larger. However, depending on how much room you have, and the size of your budget, your two front speakers can be floorstanding models. 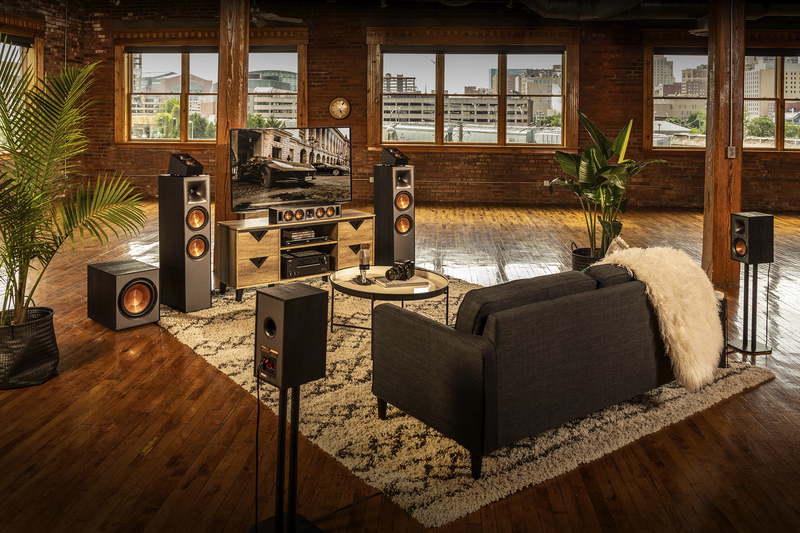 Check out the Klipsch RP-8000F, R-610F, R-620F, or R-820F. You can also opt for bookshelf models, like the Klipsch RP-600M, R-41M or R-51M. These same speaker types also work well as rear speakers, though smaller bookshelf models are usually preferred. Check out the Klipsch RP-504C, RP-600C, R-34C or R-52C for an explosive center channel experience. The subwoofer is what gives you that “big, booming” sound, a quality most people attribute to an optimal theater-going experience. Any time you hear the rumble of tanks or the on-screen explosion, it’s the subwoofer that delivers a sound you can feel in your whole body. We recommend the KIipsch SPL-120, SPL-100, R-100SW, R-10SWi, or R-120SW. Rear channel speakers are another key ingredient in any surround set-up, as they give you that all-important immersive sound experience, letting bullets fly past your ears, giving you the impression that you’re in the movie. For side surrounds, our RP-502S, R-41M or R-51M provide a truly expansive sound experience. Or, opt for the fully immersive Dolby Atmos® RP-500SA or R-41SA elevation/surround speakers. As we noted above, you can choose several different configurations, depending on your TV room and budget. Yes, it’ll cost more, but it’ll be worth it to get a truly robust experience next time you sit down to stream a movie or catch up on your favorite show. From an audio point of view, it’s like upgrading from a 50-inch 720p HDTV to a 75-inch 4K TV with HDR -- in other words, it gets you much closer to what you’d hear in a movie theater. The bigger your configuration, the more speakers you need, and thus the more choice you have. 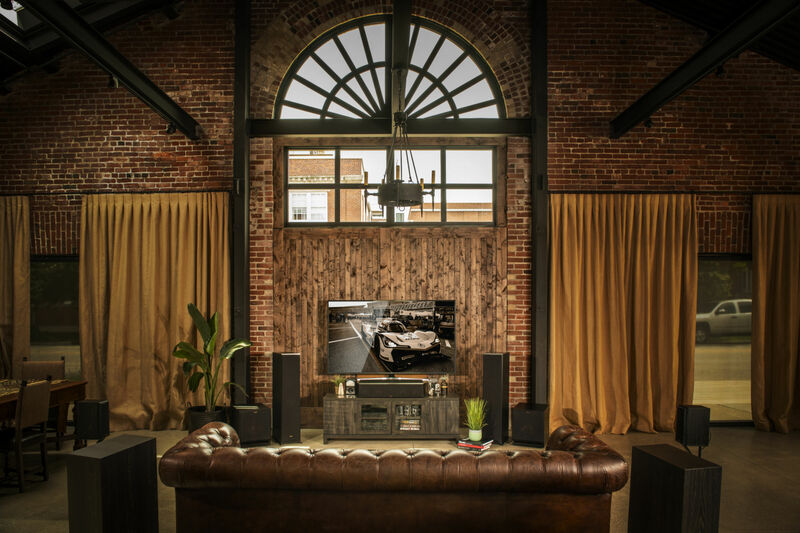 It can be a bit overwhelming, which is why we created the Klipsch Home Theater System Builder. This easy-to-use tool lets you quickly identify the best speakers for your system while ensuring all of the components are acoustically matched for the best home theater system possible. People often upgrade their home theater systems as new technologies emerge. The key to this strategy is to make sure you’re always buying the best speakers you can afford so you maintain consistent sound quality.